The Pearl Fractional Lasers, also known as Fraxel Lasers, is designed for treating photodamaged skin in a single session. With its moderate recovery time and repeated positive experiences reported by patients this new system is taking the cosmetic world by storm. Patients who get treatment with a Pearl Fractional Laser report brighter complexions, smoother skin, and improvements in texture, tone, sun damage, and brown spots. The term “Fraxel Laser Therapy” refers to a form of treatment that only a small portion of the skin to the tiny dot pattern of laser beams used by the system. These narrow beams are capable of removing damaged skin selectively, ensuring that healthy skin remains undamaged. In most cases a single treatment will result in dramatically noticeable effects, while in others multiple treatments may be required. 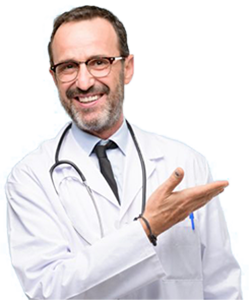 Inquire with your physician to learn where your case fits. Can the eyes and mouth be treated with Pearl Fractional Laser? This system is safe enough to be used in even the most sensitive areas of the face, including the mouth and eyes. The areas that are the most challenging to treat are those that show the first signs of aging. Am I candidate for Pearl Fractional Treatment? Pearl Fractional Treatment has been shown to work best on those patients who have skin tones ranging from a light to medium tone. The success in treating sun damage and imperfections caused by aging skin have been highest in these candidates. What is getting a Pearl Fractional Treatment like? The majority of those who have experienced this treatment describe it as getting pinched many times quickly by hot fingers. Prior to the treatment your dermatologist may apply a numbing cream, though in some cases additional medications may be used to augment this depending on the patient. Following your treatment your skin will appear somewhat swollen and sunburned, but most patients experience little in the way of discomfort after treatment. For a week following the treatment ointment may be applied to the skin and you should avoid sun exposure by wearing concealing and protective clothing. When Can I wear make-up again? In many cases a single week is sufficient for patients to see improvement, with the best results becoming evident after approximately three months. Patients can begin using make-up again after just five days of recovery. Is Pearl Fractional Laser treatment as effective as other treatments? This safe new form of laser treatment is an intense approach to reversal of aging sign in patients. 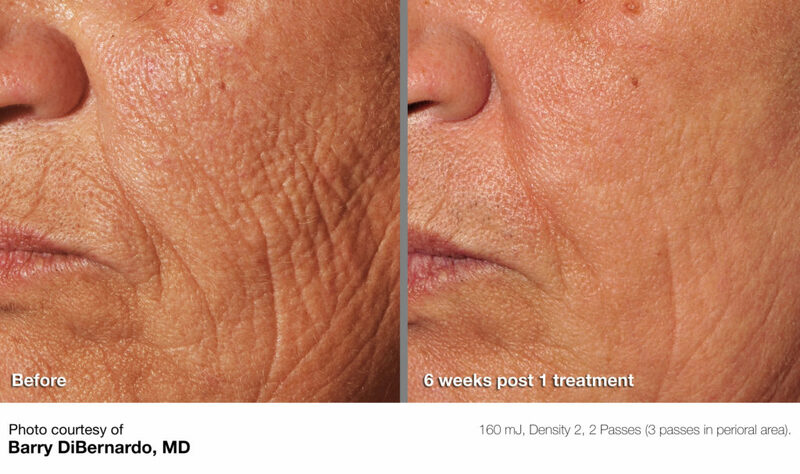 The unique wavelength of laser used in the operation produces dramatic results in just a single treatment with a one week recovery time, putting it ahead of other treatments on the market. Pearl Fractional™, a new volumizing laser that uses proprietary Cutera technology to offer both immediate and long-term anti-aging benefits, is available from Dr. Bawa & Associates. Pearl Resurfacing is performed over the entire face to fully resurface the epidermis, resulting in a overall improvement in the skin. Pearl Fractional is then done, this laser uses heat to create tiny holes deep in the skin. The process removes sun damaged tissue and then stimulates growth of healthy, new skin, full of fresh collagen. The skin is plumped up from underneath resulting in a fuller, smoother appearance; at the same time, there is significant improvement in sun damage as well as other skin imperfections such as wrinkles, volume loss and skin laxity. ….Pearl Fractional represents the most advanced technology in fractional lasers, providing an ideal combination of volumizing results and rapid recovery. With the Pearl Fractional laser, patients notice an improvement in their complexion, greatly reducing the signs of aging.. Over the long-term, patients will see continued structural changes in their skin, including increased volume and firmness.